These are super easy muffins I found on GreenLiteBites and they taste delicious fresh out of the oven. 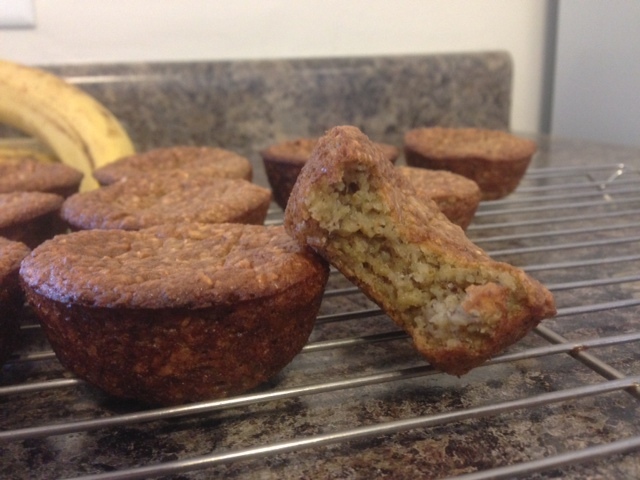 They contain no flour, so if you have celiac disease/gluten intolerance, you could make these with gluten-free oats. Since they are so dense and moist, if you don’t eat them within a few days I would put them in the refrigerator. They taste the best warm.